Last week, DC Comics announced that one of their characters is going to be coming out soon. Over at The Advocate, they suspect it’ll be The Green Lantern. 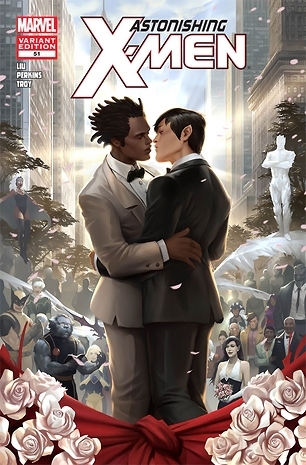 Marvel has also announced that Northstar, its first openly gay superhero, is going to marry his boyfriend in an upcoming installment. Who Will Speak for the Closeted Christmas-Celebrators? Rick Perry, that’s who! Who will speak for the persecuted Christians?